A Tudor-style home in La Canada Flintridge, California. This is the fifth installment in a series of bimonthly posts about architecture styles, each dedicated to a popular home type that can be found in the Bay Area. With its steep, gabled roof; embellished, arched doorway; and castlelike appearance, the Tudor-style home shines with storybook charm. The Tudor-style home technically refers to medieval English (1485-1603) architecture; therefore, Tudor Revival is a more accurate name for this style of home built outside of that time period. The Tudor Revival home reached the peak of its popularity in the United States from 1890 to 1940. This style is often referred to as Mock Tudor in the U.K.
Tudor is one of the most recognizable styles of architecture, and this style of home can be found all over the country, with properties ranging in size from cozy cottages to grand estates. “Tudor Style got a bad and largely undeserved reputation after World War II for being difficult to build, probably because the style didn’t fit well with the mass-production homebuilding techniques developed in the late 1940s and 1950s,” an RTA Studio blog post says. A few of the reasons to love a Tudor, according to the post: when built well, they are sturdy and long-lasting; their details are interesting; their style is flexible; and they look handcrafted, which can be uncommon in contemporary homes. Traditional Home has a few suggestions about how to style and design the interior of a Tudor home: Retain and celebrate exposed ceiling beams, arched doorways, wall paneling, flagstone fireplaces and mantels; choose a warm paint color with a brown base; furnish rooms with heavy, ornate furniture; and decorate with thick fabrics and tapestries. 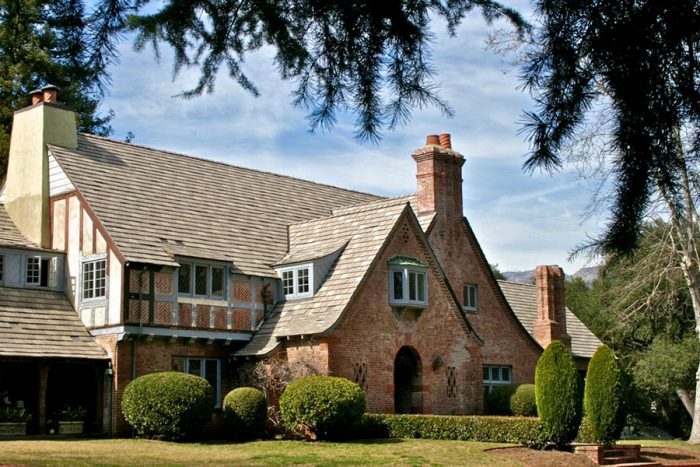 You can read more about key elements of the Tudor Revival style on the HGTV website. And visit this Pinterest page to see a gallery of Tudor homes. The Tudor home is a thing of beauty — rich, ornate, and warm with its dark woods, stately arches, peaks, and ornate ironwork. If you are a house hunter looking for the perfect Tudor, we hope you find the castle of your dreams. And, if you are already a Tudor dweller, congratulations on your royal estate.